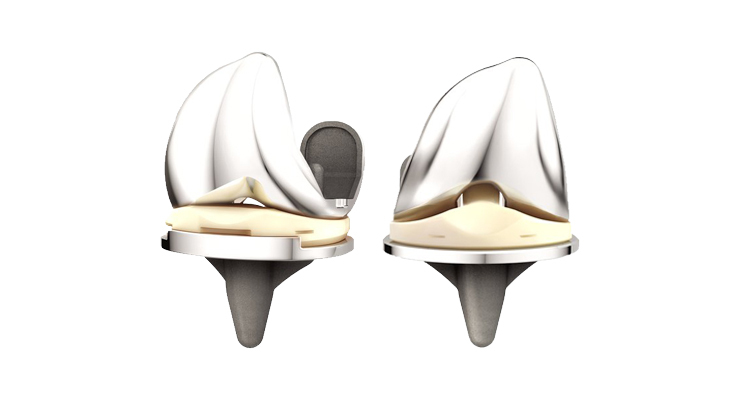 DePuy Synthes, part of the Johnson & Johnson Medical Devices Companies, announced clinical findings outlining the potential benefits patients may experience when undergoing knee replacement with the ATTUNE Knee System. First, a study presented at the 2nd World Arthroplasty Congress in Rome on Patient Reported Outcome Measures (PROMS) reported a statistically significant improvement in knee physical function at six months with the ATTUNE Knee compared to preoperative baseline, using the Knee injury and Osteoarthritis Outcome Score-Physical Function Short Form (KOOS-PS). The multicenter study of 200 cases from The Netherlands found that 80 percent of those ATTUNE Knee patients’ KOOS-PS improvements were realized by six months, with statistically significant improvements observed at intervals prior to six months. Also, pain and other PROMS were statistically significantly better at six weeks compared with pre-operative baseline. Secondly, a report generated by DePuy Synthes summarized a series of studies across several countries with differing healthcare systems. This report, entitled “The Impact of Implant Design on Hospital Length of Stay and Discharge Destination: Evidence Summary Report,” evaluated the connection between implant design and patient hospital length of stay (LOS), and encompassed some data that has been presented or accepted at the International Society for Pharmacoeconomics and Outcomes Research (ISPOR). This retrospective review of five real-world evidence studies, conducted by DePuy Synthes in the US, UK, Germany, Italy and The Netherlands, was designed to evaluate whether patients treated with the ATTUNE Knee had a shorter hospital length of stay (LOS) versus a number of comparative implants. The report concluded that in each of these studies, the ATTUNE Knee patients were discharged from the hospital sooner than with the comparative implants used. Reducing LOS is recognized as an effective way to lessen the financial burden of elective orthopaedics by reducing resource utilization, thereby lowering the overall cost of care. In addition, reducing LOS may also positively impact patient satisfaction. Emerging evidence detailed in this report suggests the ATTUNE Knee may facilitate earlier hospital discharge, with these studies observing a reduced length of stay between 0.19 and 4 days on average, depending on the comparative implants/countries compared against. While differences in healthcare systems limit the direct comparison of these observed statistically significant improvements in LOS, this report highlights the positive impact the ATTUNE Knee may deliver in various rehabilitation settings. These findings come at a time when healthcare systems are facing unprecedented challenges due to demographic shifts and increases in demand due to the predicted global growth of knee replacement procedures. It is increasingly important for healthcare providers to demonstrate improved clinical, economic and patient reported outcomes to help minimize the total cost per procedure while maintaining and, where possible, improving quality of care. More on the orthopedic large joints replacement market in the U.S. can be found in a series of reports published by iData entitled the U.S. Market Report Suite for Orthopedic Large Joint Devices. This report covers the following market segments: hip implants, knee implants, and bone cement.